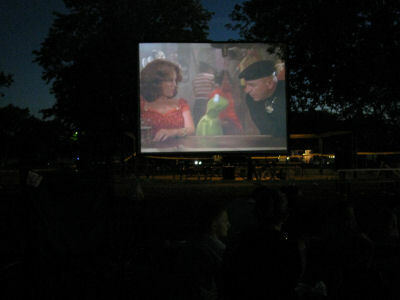 In a recent walk to the train, I noticed a flier in a store window, advertising a free screening of The Muppet Movie to be held on June 26th at Ehlert Park in Brookfield . It had been ages since I had seen it, but I remember loving it. I learned later that T__ had never seen it. I wanted to do a little family outing with everyone, and T__ was agreeable about it, so we got some snacks and water together and headed over to Ehlert at around sunset. I took a frisbee and a ball, played a little with the boys. My daughter just sat in a chair, hanging out with her mom. While we were waiting for the movie to start, I took a couple cheesy, pretentious photos. 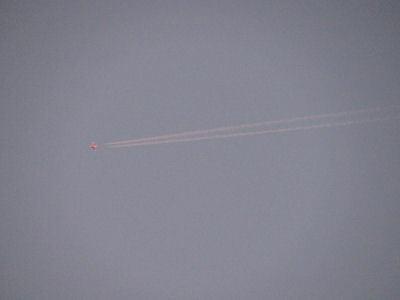 When I noticed this aircraft in the sky, it was right next to the moon, and seemed to be headed straight up into space. I honestly thought it might be a rocket. But, it wasn’t. 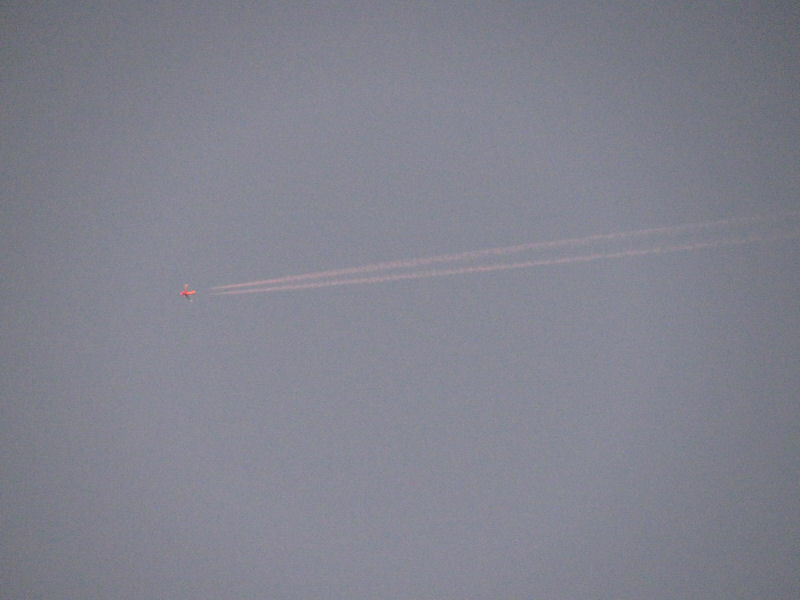 Probably a jet. It had a weird reddish cast to it — not sure if it was really that color, or if was reflecting the color of the setting sun. 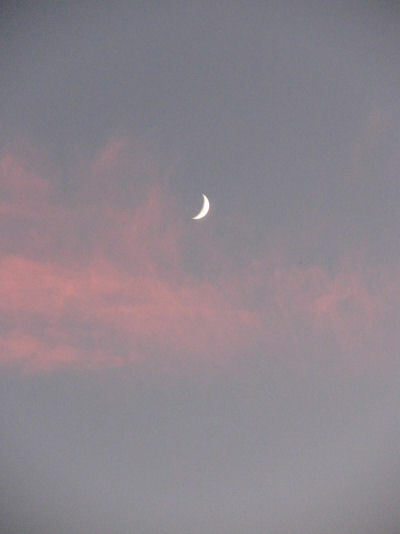 Yes, I took a picture of the moon, too. Happy? The movie finally started around 9pm (the days *are* pretty much at their longest around the solstice). Oh, what a treat. I genuinely laughed out loud nine or ten times. There were great cameos I had forgotten about, wonderful lines (Fozzie repeatedly saying “Waka waka waka!”, Beaker saying “Sadly temporary”, pretty much anything Animal said, etc.) Such a great movie. I’m sure he has mentioned the origin of his blog title before, but I was happily surprised when Mel Brooks spoke of performing a Electronic Cerebrectomy on Kermit. The movie ended at around 11pm. Two of our kids made it all the way through. Our youngest gave into sleep and some cozy blankets we had brought along. I know things aren’t the best for me or my family right now, but it’s nice we can still have moments like this. It turns the brains to guacamole. Beautiful picture of the moon.